baseball | "é rayhahn, rayhahn"
When the holidays come around, it means Black Friday sale from COMC, trades generated from The Bench, hitting eBay for reasonable value, and all of this means more to display here. And there are still others in the pipeline. 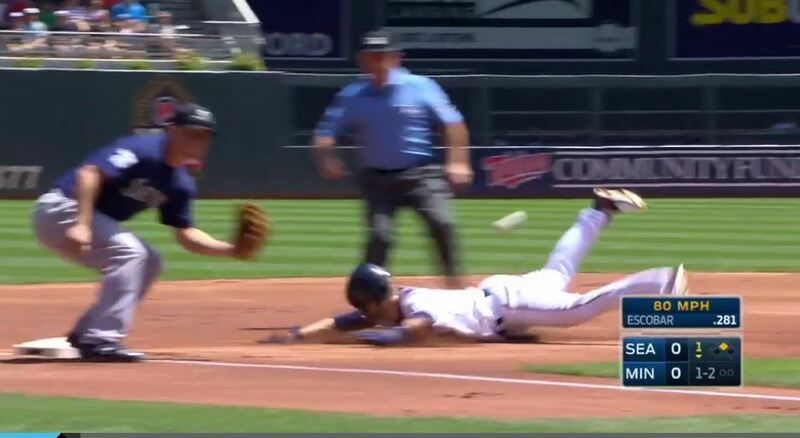 Topps has been a disappointment regarding quality in-game action photos of Twins players in which the exact play captured by the photo can actually be identified. We’ve had lots of great baseball card photos in the past to work with (we’ve been doing this for over seven years! ), but not recently. Remarkably, they did it again. 1) It’s a day game. 2) With this being Series 1, the photo is most certainly from a 2017 game. 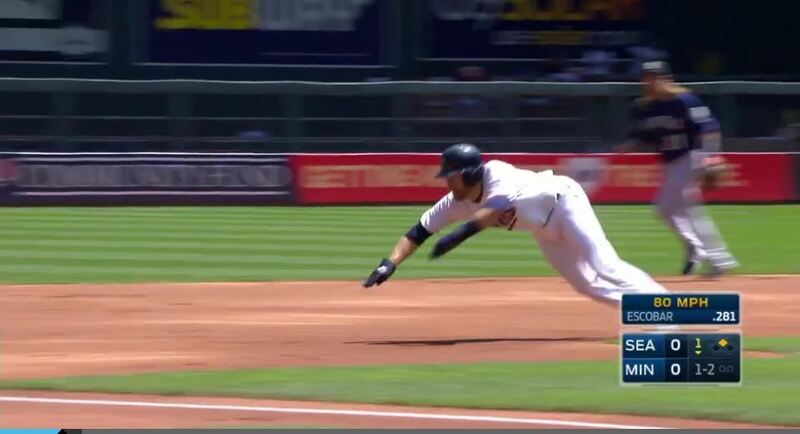 2) A play at third, quite possibly a triple given the arm covering and helmet. 3) Most likely Target Field, given the home white uniform and the location of the distance marker on the outfield wall. – there are several teams who have a uniform variant that at least somewhat resembles that of the baseball card: Indians, Mariners, Padres, Brewers, etc. – Dozier runs the bases with helmet and arm protection, at least some of the time, so he isn’t necessarily advancing to third base on his own at bat. Given the above and some digging through Baseball Reference website, it was determined that this play was the sixth pitch in the bottom of the first of this game against the Mariners on June 15th. Dozier opened the home half of the first inning with a double to right, and the play captured here was his advance to third on a wild pitch to Eduardo Escobar, Kyle Seager being the third baseman in the photo. Escobar subsequently homered, so he could have taken it easy on second base and avoided the faceplant (see photos below). The Twins won the game 6-2 on a well-pitched outing from Jose Berrios, and Dozier went 1-for-3 with a BB and HBP, scoring once. Chris Gimenez homered twice in this game, which is much rarer than games in which he ended up pitching. When it comes to looking for cards to trade and throwing an exchange package together, it doesn’t get any easier than with Good Trading Buddy™ BobFranklin at baseballcardz.com. Mark at my LCS knows to set aside any non-standard Braves and Phillies, and if they’re ones that Bob can use, I pick them up and add them to his pile. Not sure where Bob gets his Twins, but he’s always got some good stuff, including the odd AU or GU cards. When our respective stacks get to critical mass, they get bundled up and sent on their way. Thanks again for the trade, Bob!